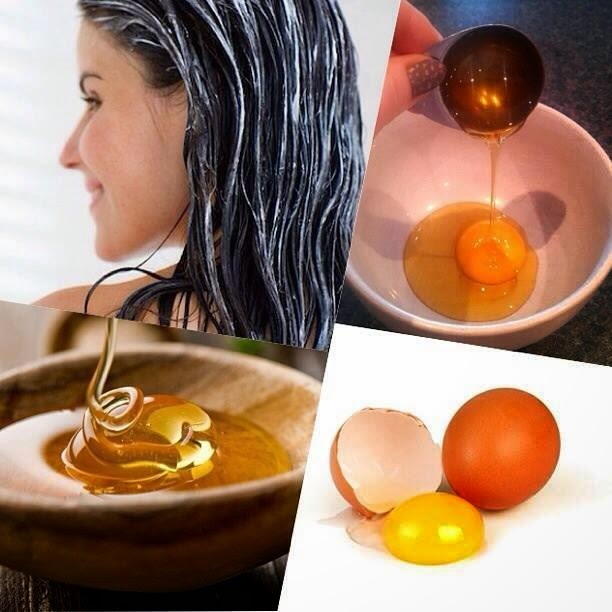 Mix all ingredients together.Massage honey with egg yolk into the scalp and hair. Leave for a 1/2 hour, then Rinse hair with warm water & shampoo & condition as normal, to prevent hair loss. Applying a very small amount of oils before and after the process can be beneficial for dry hair! Don't use a hair mask too often in a month. If you do your hair is going to depend on it. Apply this mask every 2 weeks or monthly.